June is Audiobook Month and the publishing industry wants to garner as many listeners and potential listeners through as many channels as possible. Many online retailers are going to be offering a series of deals and incentives. Today, we are going to look at the best deals around. Overdrive is offering deals for collection managers who want to buy audiobooks for their local library. They are offering a 30% discount on audio editions from major publishers such as Harlequin, Bloomsbury, HarperCollins and Open Road. There are even larger savings from smaller ones such as Blackstone and Tantor. Audiobooks.com is launching a promotion for consumers. There are weekly savings and giveaways and the Win Your Wishlist contest, which is running from June 1-30. Penguin Random House has curated a large audiobook list for a bunch of different age groups. You can buy them on CD on as a digital download through major online retailers such as Downpour and Audible. Audible is offering three memoirs for free this weekend as part of their Audiobook Month celebrations! Heaven is for Real is the book behind the blockbuster, Soul Surfer is the amazing story of shark-attack survivor Bethany Hamilton, and Thunder Dog is the true account of a blind man and his guide dog who escaped the north tower of the World Trade Center as it collapsed on 9/11. You just need to download one of their apps. The Audiobook Publisher’s Association is sponsoring this series of interviews with authors. So far we’ve heard from Whoopi Goldberg, Chelsea Clinton, James Patterson, Stephen King and Tyler Oakley. Check out the APA’s YouTube channel to see them. 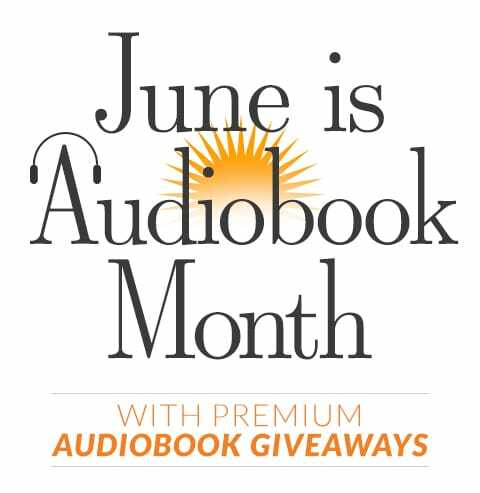 The APA is also holding a huge giveaway on the Audiobook Community Facebook page. The prize is a $250 AMEX card, swanky headphones and a YEAR’S SUPPLY OF AUDIOBOOKS. This sounds amazing!! I am a fan of Audio-books myself and many are available at Raajkart.com. I came across this website a few weeks back and ordered the books i needed. You can try this for good prices. And this article was really helpful. June sure is an audio-book month.